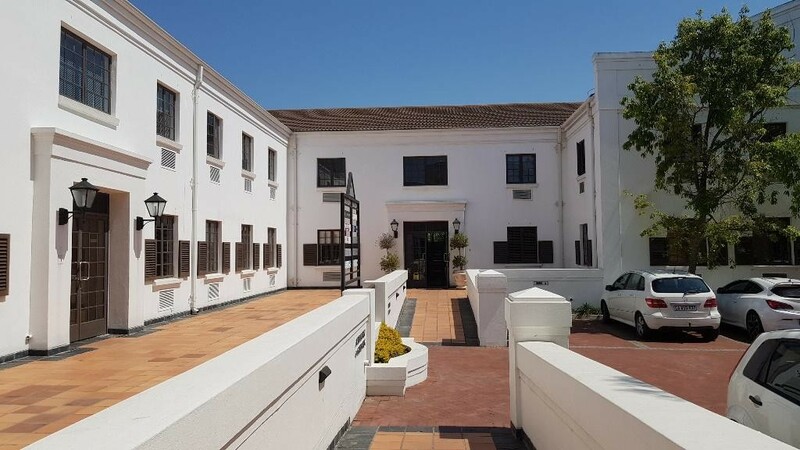 11 Open bays @ R400,2 basement @ R725 & 1 tandem @ R1100 p.m.
Lovely, modern, ground floor offices of 432m2 situated in sought after Cape Dutch style business park with 24 hour security to let. This business park has excellent access onto Durban Rd and is close to the N1, Tyger Valley Mall and the Virgin Active Gym, all of which are in walking distance. The offices are currently well designed and fitted to include a large boardroom, smaller meeting rooms, several privately enclosed offices on the outer edge of the space as well as a very large open plan office area. A fitted kitchen is available within the office space. Offices are air conditioned, fitted with blinds and have a good flow of natural light. Beautiful, stylish male and female ablutions as well as a disabled bathroom are situated in the common area in the lobby. This business park has lovely road appeal with its large oak trees and Cape Dutch architecture and is a quiet and peaceful working environment, yet very close to all amenities.